Brighton, United Kingdom – 1 November 2018 – Destiny Pharma (AIM: DEST), a clinical stage biotechnology company focused on the development of novel antimicrobial drugs, that addresses the global problem of antimicrobial resistance (AMR), today announces it has been jointly awarded a National Biofilms Innovation Centre (NBIC) funded research collaboration with the University of Southampton. The project is intended to examine the use of the Company’s novel XF compounds to prevent, control, and eradicate chronic clinical infections with underlying biofilm involvement, such as those in diabetic foot ulcers and cystic fibrosis. There is a significant unmet medical need in both the treatment and management of biofilms which can cause and exacerbate serious infections. Destiny Pharma’s XF compounds have already shown the potential to eradicate bacteria, such as MRSA, within a biofilm. The NBIC funded collaboration plans to expand on this data using laboratory and clinical microbial biofilm models and the expertise of the team at the University of Southampton’s Faculty of Environmental and Life Sciences, who have established ex vivo biofilm model systems and access to clinical infection samples that will be utilised in the collaboration. Financial terms of the collaboration have not been disclosed. Biofilms are recognised as a key factor in the inability of antibiotics (and other antibacterial agents) to successfully treat infections. The formation of bacterial biofilms is implicated in the development of cystic fibrosis pneumonia, diabetic foot ulcers, dental caries and infections associated with indwelling medical devices, (e.g. hip implants and catheters). In the US, 1.7 million biofilm-related infections, (e.g. urinary tract, surgical, respiratory and circulatory infections) are annually reported (Centers for Disease Control and Prevention Report, 2007). The annual estimation of the cost of biofilm infections in the US is $94 billion, while annual biofilm-related healthcare-associated infections cost the NHS £1 billion p.a. Biofilms are an increasing problem that are poorly treated by current drugs. They act as a protective barrier for bacteria and have been traditionally associated with indwelling medical devices (for example, heart valves and joint replacements), and invasive medical devices (for example, catheters and endoscopes). It is now acknowledged that biofilms have a major involvement in bacterial vaginosis, urinary tract infections, middle-ear infections, gingivitis, corneal infections and more lethal diseases, such as endocarditis and cystic fibrosis. More recently it has been noted that bacterial biofilms may impair cutaneous wound healing and reduce topical antibacterial efficiency in healing or treating infected skin wounds, including diabetic foot ulcers. Whilst several fungal species have been implicated in cystic fibrosis associated pneumonia, their role as spectators or contributors to the pathogenesis remains to be elucidated. Exploring the anti-fungal properties of the XF-platform on fungal species present in clinical samples of sputum from CF patients may shed light on that role. NBIC is the central hub where academia, industry, government, and public policy come together to tackle the global challenges biofilms present, through a forward-thinking, collaborative and interdisciplinary approach. 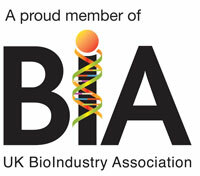 Funded by the Biotechnology and Biological Sciences Research Council (BBSRC), Innovate UK and Hartree Centre, our mission is to establish a network of research and innovation capacity in order to catalyse partnerships with industry in the study of biofilms to achieve breakthrough innovations and impact – from industry products and solutions to services and spinouts. The four core partners are the University of Southampton, the University of Edinburgh, the University of Liverpool and the University of Nottingham. They have now been joined by an additional 27 universities and over 60 industry partners in the aim to prevent, detect, manage and engineer solutions in biofilms. Among the top 100 institutions in the world (QS University Rankings, 2019), the University of Southampton drives original thinking, turns knowledge into action and impact, and creates solutions to the world’s leading challenges, from cancer to cybersecurity. The University’s academics are leaders in their fields, forging links with high-profile international businesses and organisations, and inspiring a 24,000-strong community of exceptional students, from over 135 countries globally. With a firm foundation of academic and research excellence, Biological Sciences at the University has a strong focus on finding solutions to contemporary challenges with real-life benefits, supporting and inspiring bio scientists of the future and by working across various disciplines with other universities, private industry and the public sector.